India had influenced the community life of people of Indian origin in Trinidad & Tobago long before diplomatic relations commenced between the two nations in 1948. This paper is an attempt to provide a historical description of the state-diaspora relations between India and Trinidad & Tobago during and post indentureship. The paper draws from the written accounts by historians, government officials and scholars on the policies applied to the indentureship system, abolition, and bilateral relations between the two nations. Gamlen’s (2008) two diaspora mechanisms are employed to demonstrate the state-diaspora relations. The major findings indicate that the early Indian migrants developed mechanisms to cultivate a diaspora identity based on their collectively created vision of ‘an imagined India’. Additionally, diaspora building and diaspora integration in post indentureship through numerous cultural exchange programs and educational opportunities for Indo-Trinidadians and Indian nationals have been top-most in forging diplomatic relations between the two nations. 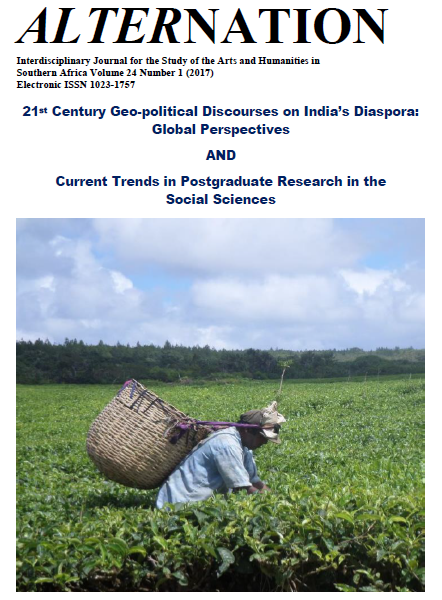 In the final analysis, there is a need for a more in-depth analysis of Gamlen’s diaspora mechanisms and the model of emigration state typology and how these can apply to the Indian diasporas in the Caribbean.